If you’re creating your own home recording studio for some voice acting work, then it’s a good idea to invest in some high quality equipment to get the best recordings. 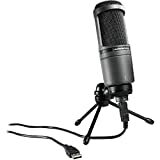 And probably the most vital is a good microphone for voice acting recording. 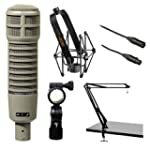 Now, if you have already started your comparison shopping, then you know that the sheer number of available mics is overwhelming. That’s why we want to help you find the best mic for voice overs so that you can get to work. In order to make your comparison shopping easier and less time consuming, we want to share just a few voice over microphone reviews with you. 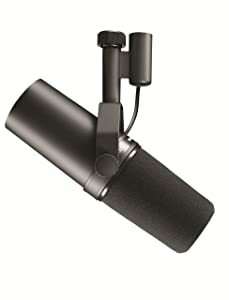 We think that, for most people, the best is a condenser mic when it comes to voice overs. After narrowing it down to just the top rated mics, we have come up with the following models for your consideration. Since we all can’t afford awesome microphones that cost several thousand dollars, let’s look at the most budget friendly option for those voice actors who just need a good, cheap microphone for recording at home. Hands down, the only choice here is the Audio-Technica AT2020USB Cardioid Condenser Microphone. 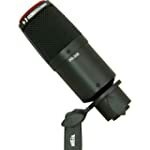 This mic has a good, low price and is available with a USB connection or a XLR connection. So, it’s very affordable and versatile enough to work with whatever gear you already own. 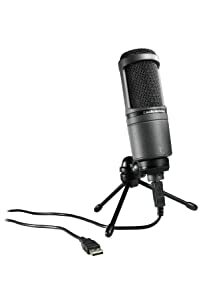 If you do your research, then you will find that a lot of voice actors actually get started using this mic. 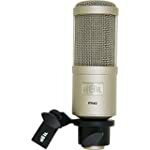 It’s also a great choice for a good, cheap podcasting microphone (if you do that as well). 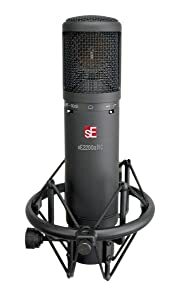 If you can afford to spend more on your mic, then this one from SE Electronics is a great voice over microphone for the money. Plus, if you buy it online from Guitar Center, then you may get a discount off the retail price, which is great for the budget conscious shoppers out there. We suggest comparing stores for the lowest price. I think you will find that this Se 2200a IIc model is MUCH better than the often applauded Se X1. I like this one better because it doesn’t pick up much background noise so you get great vocal isolation when using it. 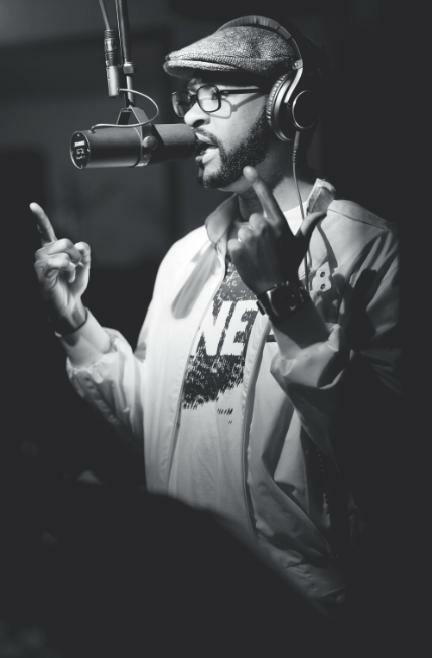 I also enjoy the versatility of this microphone – when you’re not using it for your voice over work, you can recording some sweet vocals or your guitar for that amateur album you’ve been working on. It doesn’t come with a case, but there is a shock mount included, which is surprisingly rugged and heavy duty. Definitely a good buy if you choose this one. I think it goes without saying that you can’t make a list of the best voice over mics without including the one that was designed specifically for VO actors! 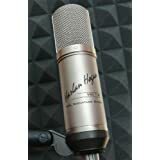 The Harlan Hogan VO: 1-A mic for voice performers has a low, affordable price and actually is a really great mic. 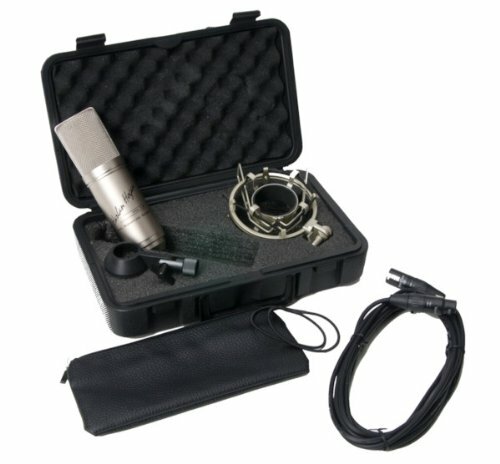 Of course, one of the best thing about it is that you get a lot for the money – a pouch for the mic, a hard shell case, a quick clip mount, a shock mount, XLR cable and two replacement mount bands. That is a heck of a value for the money right there. And if you prefer a USB VO mic, then I have good news for you – you can actually order this one with a USB connector! 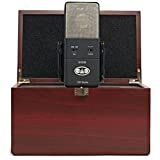 So, stop beating yourself up about not being able to afford a U87 and check out the great recordings you get from this VO microphone. This cardiod VO microphone is truly a pleasure to record with – you get nice clean recordings that won’t require a lot of cleanup. 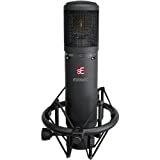 Like some of the mics above, this one is very versatile performs well for recording your guitar, bass and other instruments as well as recording vocals. So, if you’re serious about recording, this one is a great value for the budget at this low price point at Guitar Center. I bet if you give this one a try, you will never look back. 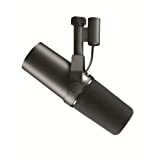 It is consistently one of the top rated microphones for voice over performers. Honestly, I think the SM5 is a slightly better option, but they’ve stopped making it. However, if you have find that SM5 used, then you should totally give that one a try first. But even then, this one is still a great choice. Though you might not see this mic winning a lot of popularity contests on VO blogs, the fact remains that this is a great microphone for voice overs. I think the reason that it isn’t as well loved by VO artists is that it is the most expensive in this price range – but it is still reasonably affordable. Here’s the thing, if you want to get as close to the recording quality of a U87 without spending thousands of dollars, then you definitely need to consider giving this mic a trial run in your home VO recording studio. 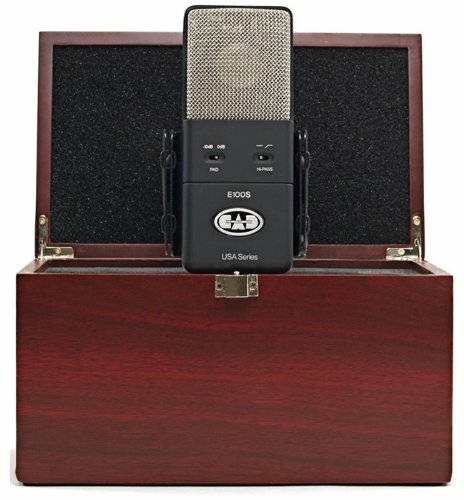 When you buy this one, it comes in a really nice woodgrain cherry case just like in the photo. And, a shock mount is included as well. I think it is also worth noting that this microphone is Made in the USA – of that sort of thing matters to you when shopping for new gear.